There are a staggering number of new baby monitors around these days, but most of them still require your baby to call out to you if something might be wrong. Here’s one that doesn’t. Parents use baby monitors as an additional set of eyes and ears for all different reasons – it might be that the size or layout of your house makes it hard to hear your baby, or perhaps you’re such a deep sleeper that you need a bit of help waking up to your little one at night. But regular audio baby monitors only alert you when your child is upset enough to call out. 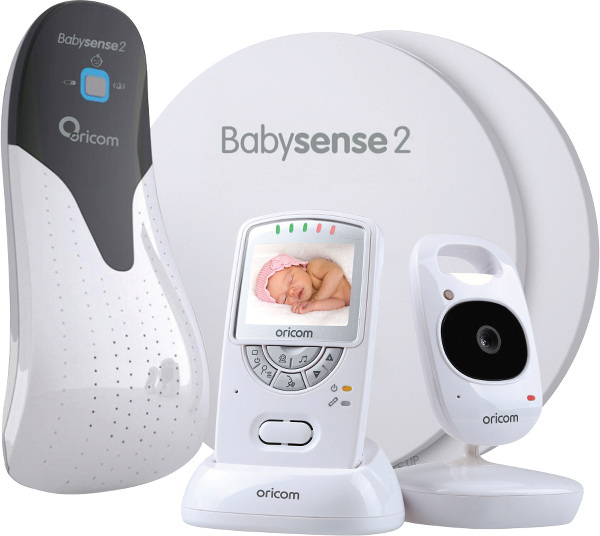 The Babysense2 from Oricom is different. It’s a breathing movement detecting monitor, so it works by monitoring your child’s breathing rate while they sleep. The control unit of the Babysense2 connects to sensor pads that are placed under your baby’s mattress and are sensitive enough to detect the regular movements associated with breathing. If the baby’s breathing movements should fall below a certain rate per minute, or not be detected at all, the monitor will raise the alarm. There are a range of families that might benefit from a monitor like this one, especially those who have children with medical conditions that need close monitoring – but some people also just appreciate the extra peace of mind. In fact, the great thing about the Babysense2 is that it works to alert you of potential problems before they become emergencies. The Babysense2 is intended for use as an infant apnoea alarm. You should always read the label and user guide, and use only as directed. You can buy the Babysense2 on its own (for $279) or in a value pack with the Oricom SC710 Digital Video Monitor ($379) from Bubs Baby Shops.